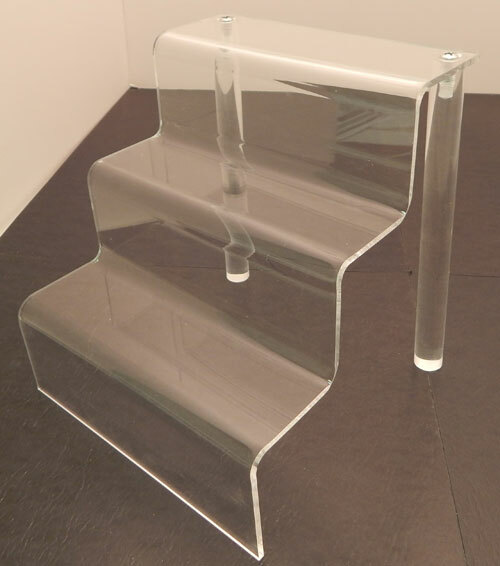 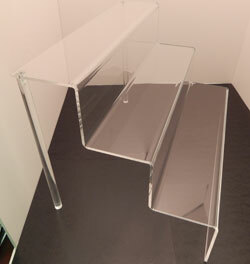 This is a deep shelf acrylic stairway. 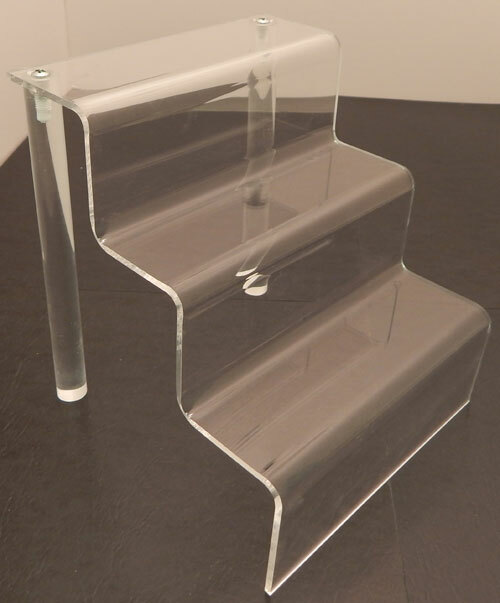 The tiered design of this item makes it easy to display multiple items on one stairway display. 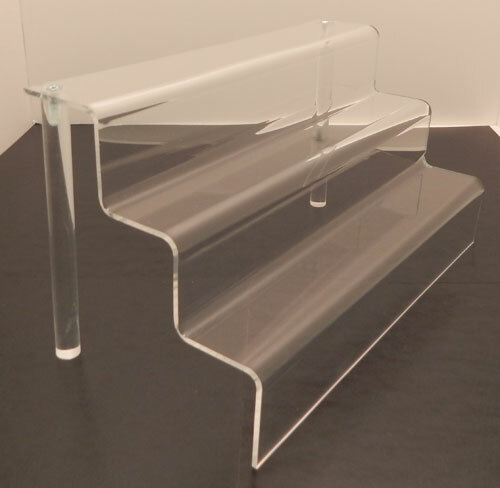 This design also makes browsing your products much easier for your customers. 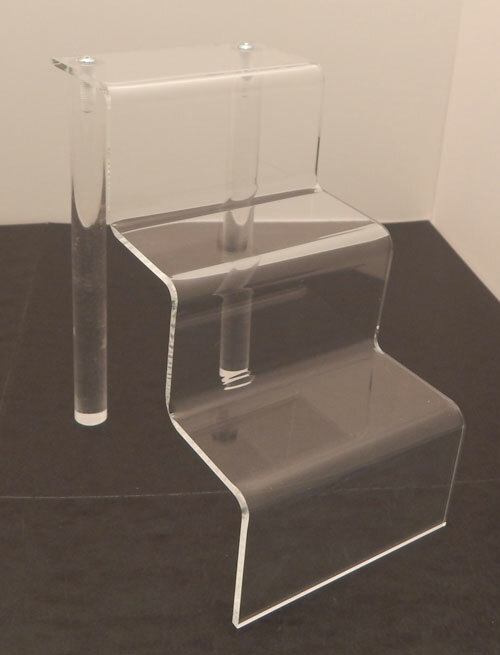 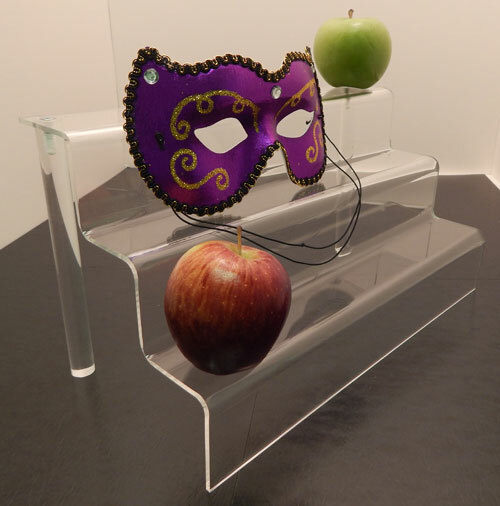 The clear acrylic makes this a great display for many uses in many different locations due to its ability to blend seamlessly with any pre-existing decor. 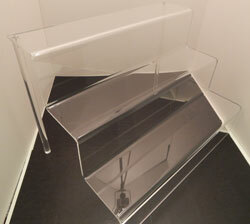 This stairway can be combined with others to create a custom display area.